21 Relentless Delivered to Pendleton Rescue Squad. Metal Shark Boats has completed delivery of a 21 Relentless fire, rescue, and patrol vessel for Pendleton Rescue Squad's operations in Kentucky. A custom-built derivative of the U.S. Coast Guard's SPC-SW standard platform response vessel, the boat will serve as the Squad's primary rescue and firefighting vessel. A sister craft has also been built as a demonstration platform for Metal Shark's sales team, and is currently available for testing nationwide. "Our design team recognized the nearly universal appeal of this flexible, fully-customizable platform," said Dean Jones, National Sales Manager, Metal Shark Boats. "Subsequently, we've decided to make the boat available for testing to interested agencies nationwide." Parties wishing to test Relentless should contact Dean Jones at (561) 909-9788, or via e-mail: djones@metalsharkboats.com. 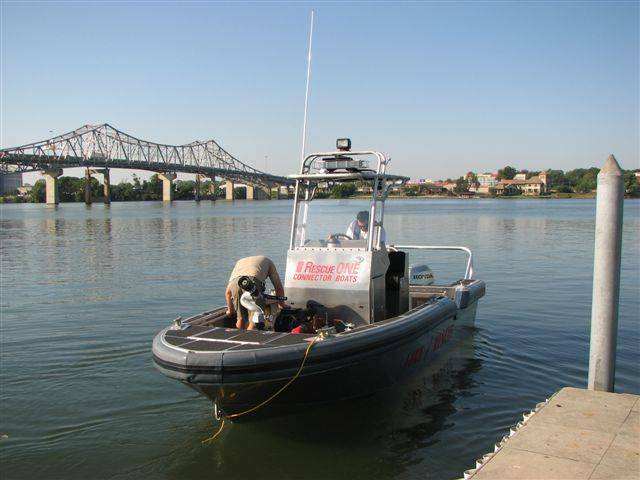 With an optional equipment list including dive tank storage, towing bits, gun racks, electronics packages, a foam collar fendering system, and more, Metal Shark is able to tailor the 21 Relentless to even the most exacting specifications. LOA: 21' 0" Beam: 8' 6" Draft: 1' 6"
Metal Shark sells directly to qualified government and commercial organizations, and custom-builds all boats to mission specifications. Metal Shark products are also available for purchase using General Service Administration (GSA) Supply Schedule 084. GSA pricing is also available to State, County, and Municipal agencies qualifying under the 1122 Counterdrug Program. 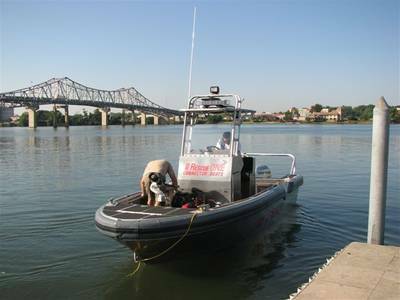 A subsidiary of Gravois Aluminumb Boats, LLC, Metal Shark offers a dependable lineup of CBRN, law enforcement, military, fire/rescue, and commercial vessels ranging from 16 to 65 feet. Metal Shark's all-aluminum construction provides a solid, durable, and low-maintenance platform built to withstand extreme conditions, harsh environments, and years of abuse.